Yesterday, I posted some pictures of my recent acquisition of some kebari from Yuzo Sebata for my tenkara fly collection, and today, I wanted to share some flies I got from Hisanobu Hirata. Hirata-san might not be a household name to many western tenkara anglers the way Dr. Ishigaki or Tenkara no Oni are, but I’m sure many of you are familiar with at least one of his patterns: the Mamushi Kebari. This fly is made from the skin of an extremely venomous viper and are very difficult to come by unless you visit his shop on the banks of the Itoshiro River. The flies I got from him weren’t as death-defying as the Mamushi Kebari, but they will serve as an important historical and stylistic marker in my collection. All three of them are simple stiff hackles, tied with the same pale yellow embroidery thread and either black, badger, or ginger hackle. He coats the thread bodies with nail polish for durability. 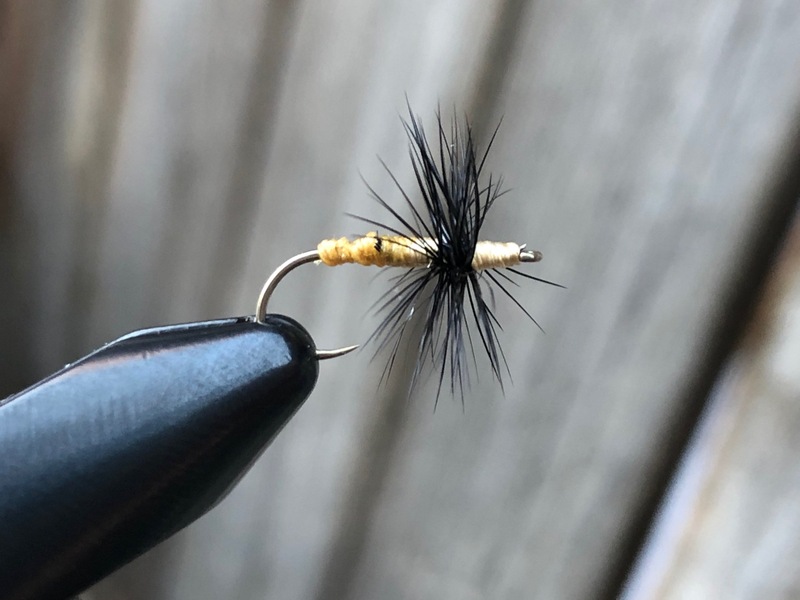 They’re simple, but elegant flies that are a good representative sample of the typical stiff hackle style fished in Japan and a must-have for my kebari library. 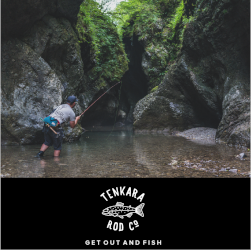 This is going to be an ongoing project for me so if you’d like to follow along as I grow my collection, be sure to follow the TenkaraTalk Facebook page or subscribe to my email list for updates as I continue to document fly patterns from tenkara anglers in Japan, America, and around the world. I fish the St. Vrain near Lyons and also the Big Thompson, fairly small rivers. 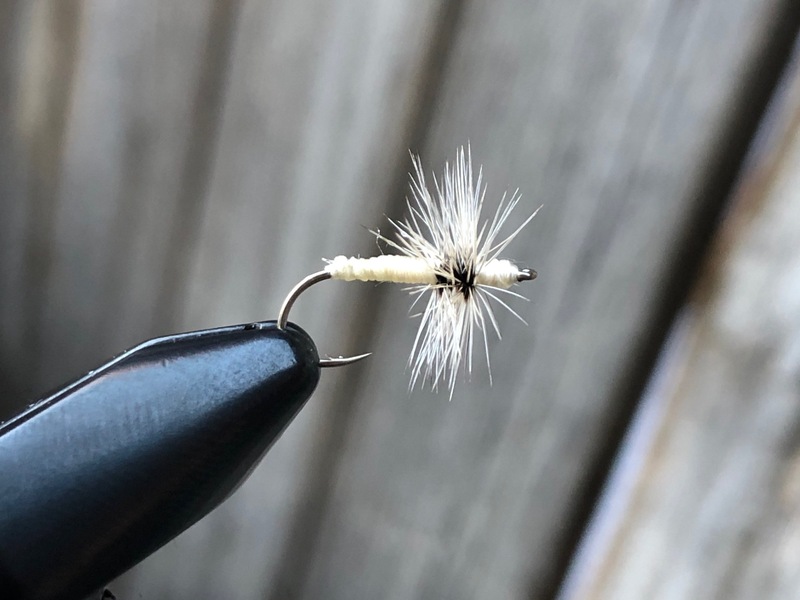 As a Western-style fisherman, I use very small flies this time of year, 20-22, and some individuals are using even smaller. For my Tenkara, the smallest I’ve been using is a 16. Do you tie or use any kebari flies smaller than a 16? I feel like that is too big for the winter months, but I’m new to Tenkara so it could just be my inexperience leading to my lack of not catching anything. 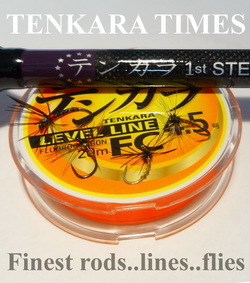 One more question, do you also use traditional western style flies with your Tenkara setup? Thanks for the Japanese fly galleries. Simple and beautiful. I have similar questions to Kurt. 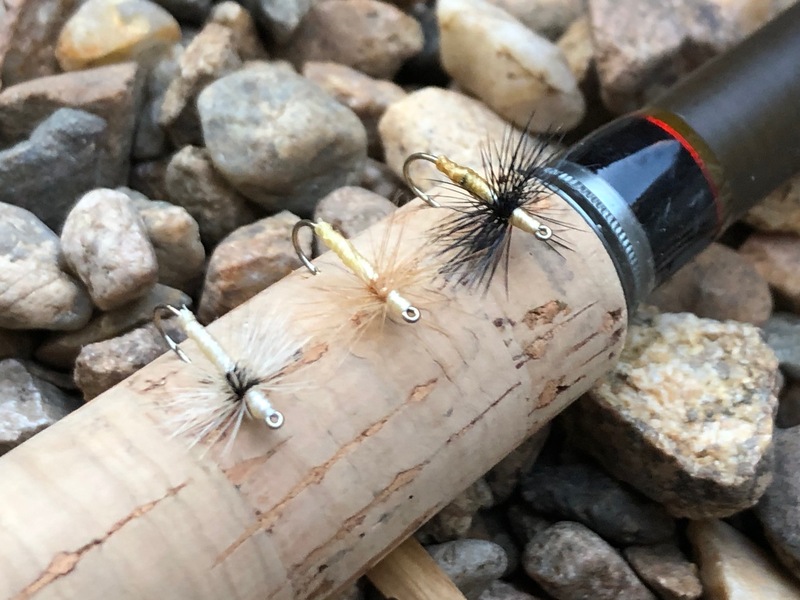 I’m mainly fishing the Cache la Poudre in northern Colorado and I’m having some success in the winter with small western flies on my Tenkara setup, but I am less successful (and less confident) using the big Tenkara flies in the winter. 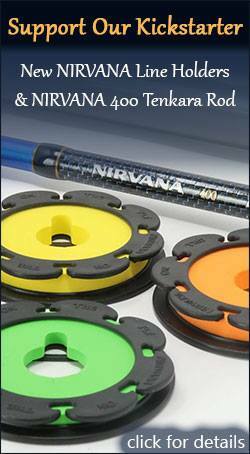 A related question – do you weight your Tenkara flies in the winter to get them deep into the pools? There are two answers to your question it seems. The first it, yes, I do sometimes use western flies. I love dry fly fishing and when fish are rising, it’s hard for me to pass up that opportunity; however, I fish sakasa kebari about 80-90% of the time. 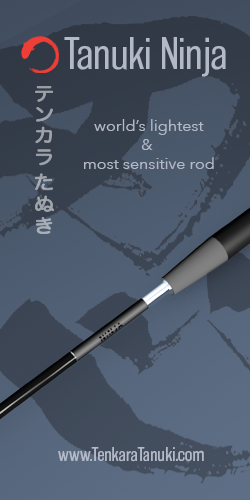 I have no philosophical opposition to fishing “non-tenkara” flies with a tenkara rod whatsoever. I just think in most cases, sakasa kebari are more versatile and ore effective. Sakasa kebari aren’t imitations. They’re meant to trigger the predatory instinct of trout which is independent of imitation. 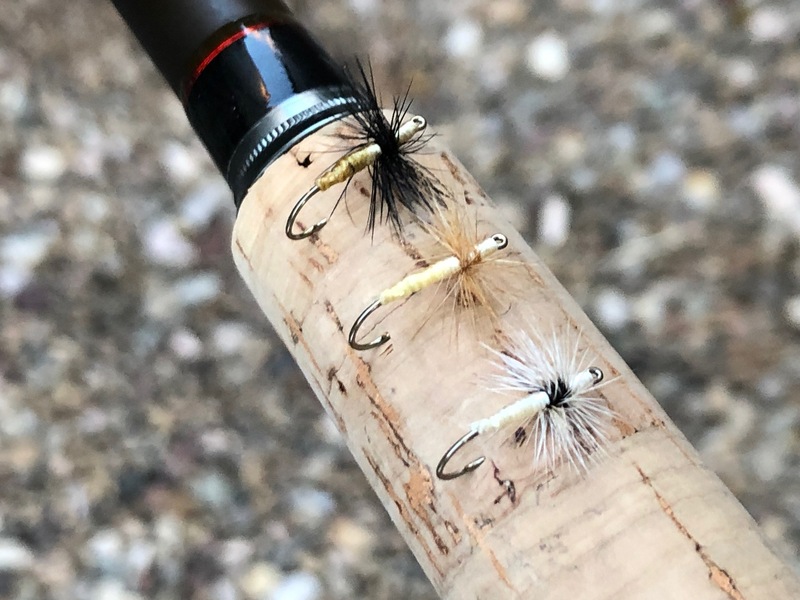 If you give the larger tenkara flies a try in winter (even when conventional wisdom tells you to tie on a #24 black midge), you might be pleasantly surprised. Does that shed any light on the subject? Thanks for the info and advice! 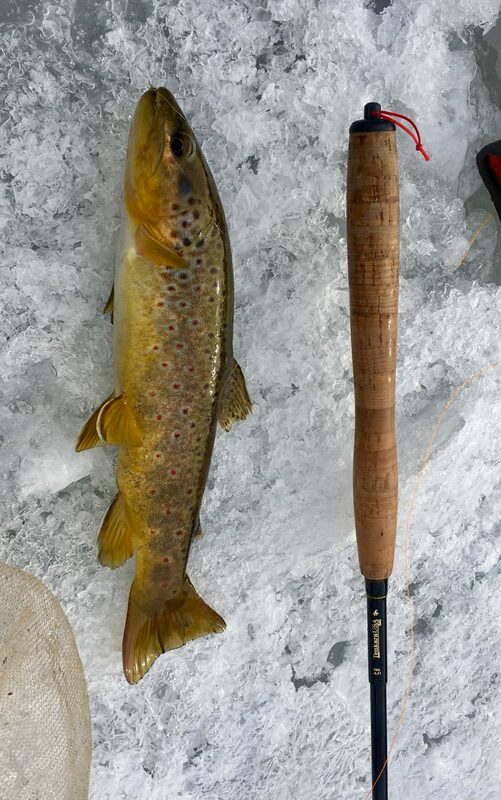 Today, I found a small stretch of open water on the Poudre and a nice Brown willing to take my #12 sakasa kebari ?? Hey Rob, nice pic and beautiful fish! You can’t really see the pattern. Just curious, what was it? It was TenkaraUSA’s Ishigaki Kebari. 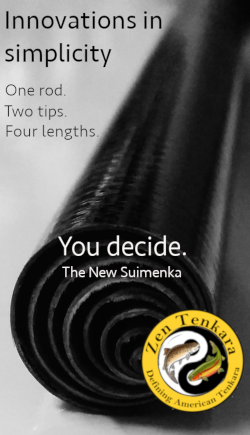 A follow-up question to techniques and flies … do you recommend adding a small dropper to a tenkara fly? 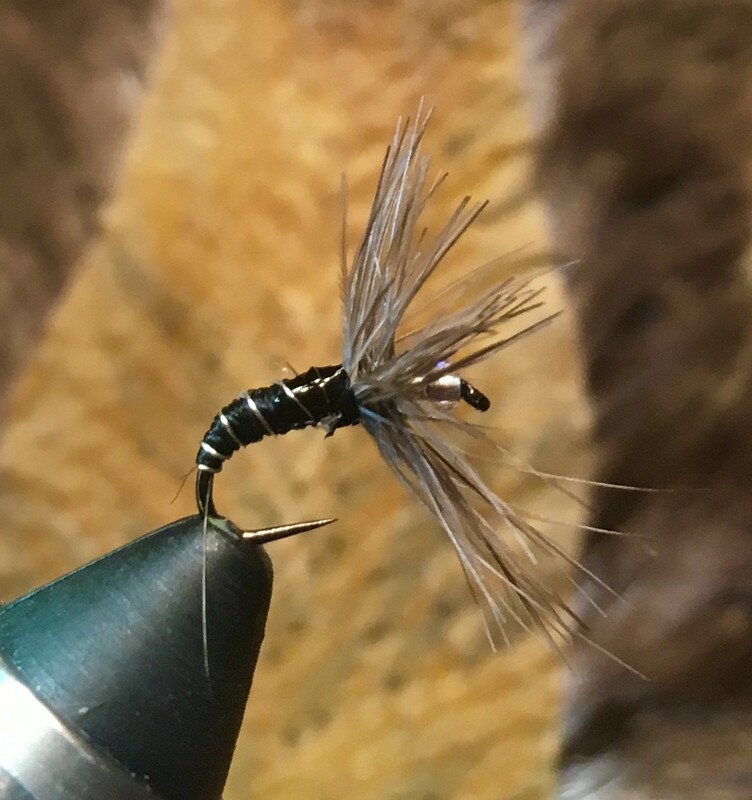 What about a second tenkara fly? I had a zebra midge below the Ishigaki Kebari on my outing last weekend (and a small Brown took it). 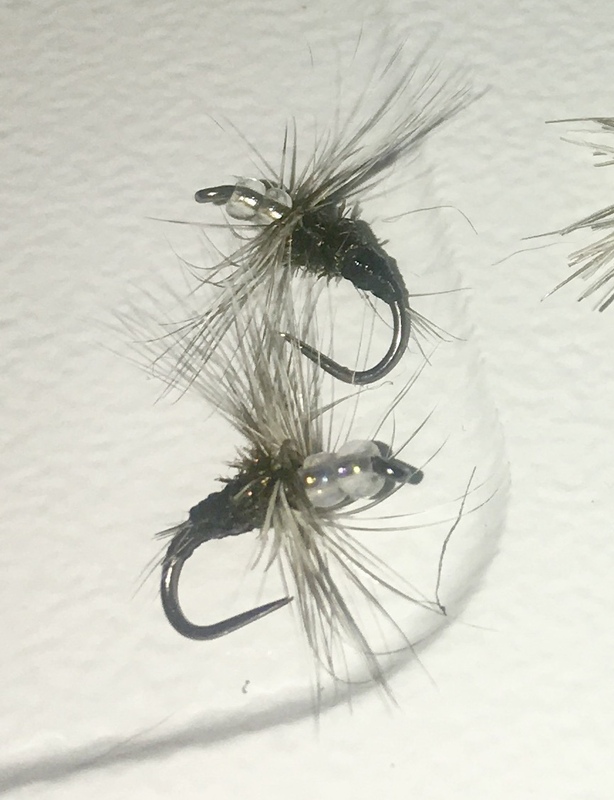 Last night I tied several “Double-Pane” Sekasa Kebari – none are picture worthy yet, but I’m looking forward to giving them a shot on the river soon. I would love to see some of your flies! Please post the pics when you can. I’m planning to do a video soon about how to tie the half-palmer SK since so many people have asked me to. So keep an eye out for that one. Ok, I really need to search your blog posts before asking more questions! But thanks for the link – it has good info for me to think about. Here are a couple of my double-pane SK. Still a novice tier and I’m struggling with wrapping the hackle (strands going in all directions or I’m breaking off hackle with the hackle pliers). I would appreciate any tips or a link to a good instruction video. 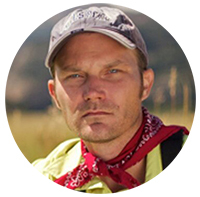 Hey Rob, it looks like you’re using saddle hackle on those flies, so as stiff hackles, the way you did it is exactly how they should be–perpendicular to the hook shank. 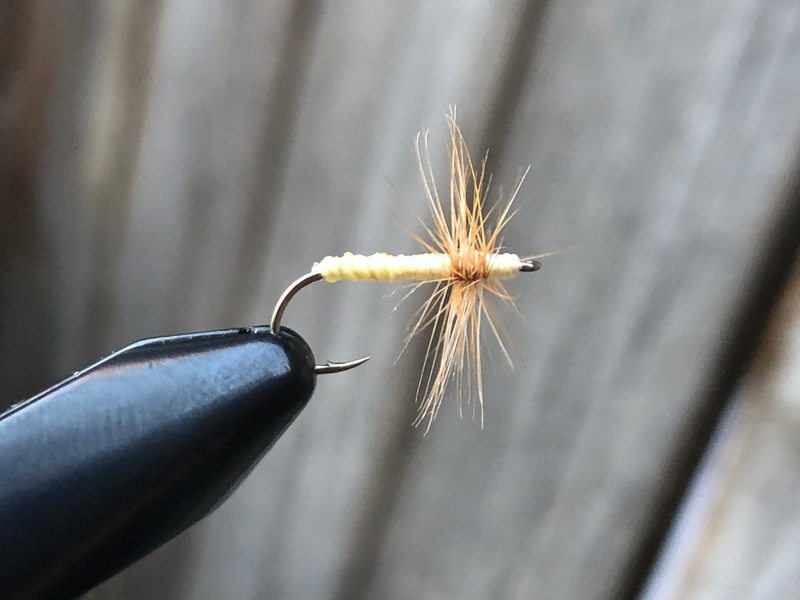 If you want them to angle forward more, tie the feather with the curve facing toward the hook shank, and stroke the barbules forward as you wrap, then make a few wraps of thread over the hackle as you pull them forward. Or, use a soft hackle feather like partridge or pheasant. Those will go forward more easily using the same technique I described above. Does that help at all or am I missing the mark? I definitely need to learn more about the different types of hackle and what they’re used for. According to the labels on the bags, I’ve got dry fly neck hackle (stiff? ), soft hackle hen (saddle patch), barred strung neck hackle, and grizzly marabou. I guess I’ll grab some partridge or pheasant (or brahma hen cape – just saw your blog on Best Hackle for Tenkara). Looks like you’ve got an assortment of hackle there. The strung neck hackle is probably going to be too big for most kebari. I would definitely recommend getting partridge, pheasant and brahma hen like you said. Those are the right size and extremely versatile. The hen hackle will work too, though it is usually of lower quality and can be a little trickier to work with (the stems are often very thin and twist easily, making the barbules “go all over the place” as you mentioned above). Feel free to give me a call or hit me up by Messenger or Skype if you need any help. I remember what it’s like to be frustrated when the materials don’t do what you want them to. But usually, it’s the material’s fault–not yours. Selecting the right materials takes your tying from frustration to fluency.